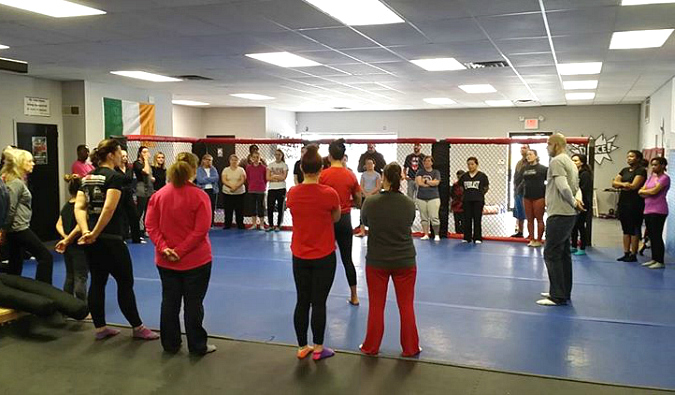 yesterday morning, my mom and i took a free self-defense class for women along with two family friends. 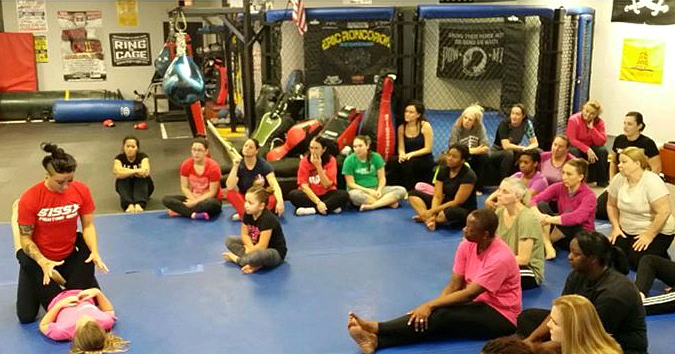 the class was lead by ufc fighter ashlee evans-smith who is a professional mixed martial artist. 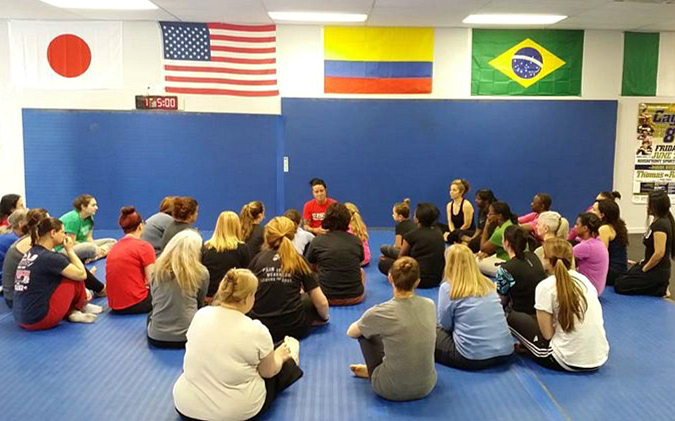 the group of about 35 women learned how to defend themselves and how to escape from an attacker's grasp. it certainly was interesting and we learned a lot, but i have to say, my muscles sure are sore this morning! 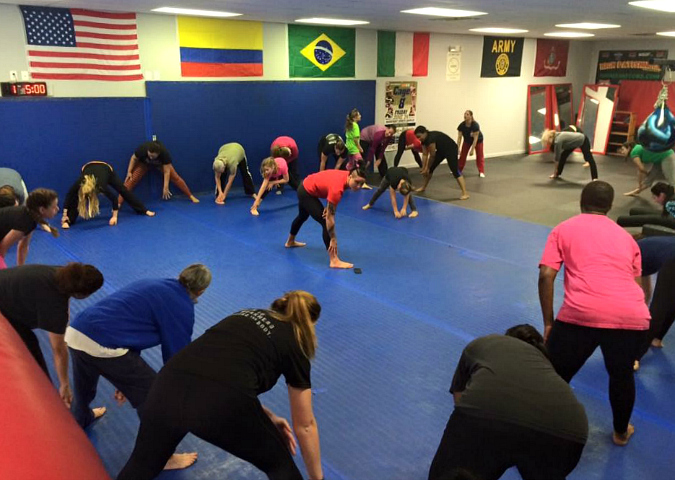 here are a few pictures from the workshop . . .
That was really fun and informative. I learned a lot, hope I never have to use it. I also learned how out-of-shape I am, not that I didn't know that.